‘Tis the season for Savings!! It’s everyone’s favorite time of the year, Black Friday and Cyber Monday sales!! I’ve rounded up some Black Friday/Cyber Monday sales and deals from cruelty-free brands, as well as, some other retailers where you can find lots of ethical and cruelty-free products! 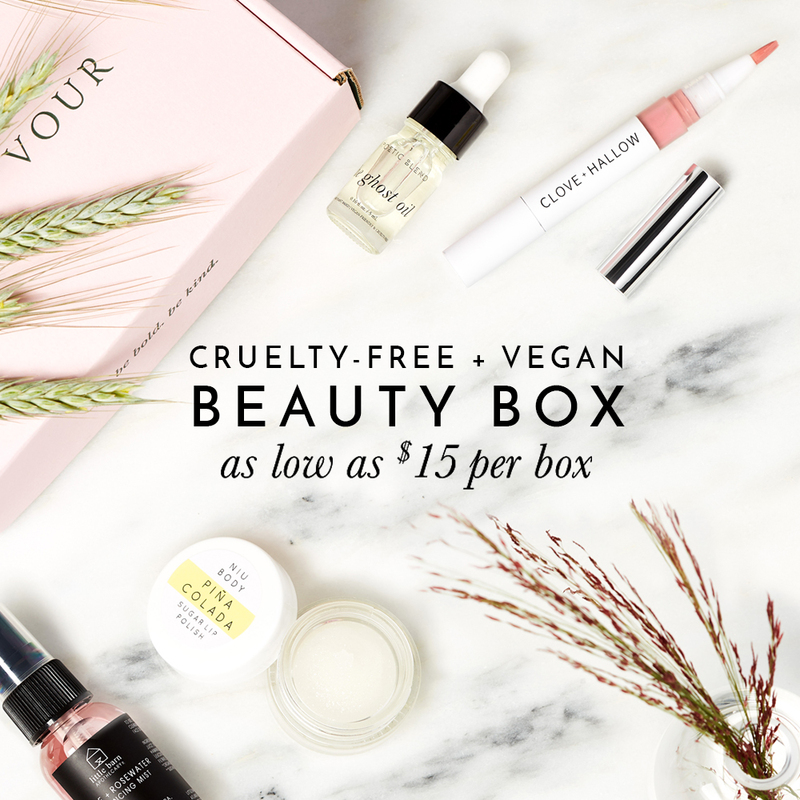 I’ll be sure to update this list everyday to give you the latest and greatest sales for cruelty-free beauty, fashion, and lifestyle products! Looking for anything and everything this Black Friday? Petit Vour is my favorite place to shop for all things vegan beauty, fashion, and lifestyle products. And be sure to check out Amazon daily deals, you might be able to find some cruelty-free and ethical lifestyle products on sale and if you’re in Canada, you gotta check out Well.ca! Petit Vour – Extra 20% off all sale items. Code: THANKS20. – 100% VEGAN! Amazon – New deals go live daily! Shopping from Canada? We have sales too! Well.ca – Save up to 70% on 1,000+ products! Looking for a wide range of cruelty-free beauty brands and products? Here are some online beauty destinations that carry a fab selection of cruelty-free brands. Please note that not all brands sold through these online beauty stores are cruelty-free or vegan. Use ethical elephant’s List of Cruelty-Free Brands to help guide you through which brands don’t test on animals. Here’s the time to stock up on some of your must-have makeup and skincare products from your favorite brands! Below is a list of cruelty-free beauty brands that are running some sweet Black Friday/Cyber Monday sales. Please note: not all brands are 100% vegan, be sure to check product descriptions and ingredients before buying. MOTD Brushes – 30% off site wide + Free US shipping on orders $30+, use code: SITEWIDE – 100% VEGAN! Sappho Cosmetics – 20% off all products, 40% off new paradigm liquid foundation, use code: SHOP20OFF – 100% VEGAN! Root Beauty – Buy 1, Get 1 50% off – 100% VEGAN! Au Naturale Cosmetics – 70% off select organic and vegan cosmetics – 100% VEGAN! Looking for vegan-friendly shoes, handbags, or some ethical apparel? Here are some retailers and brands offering a range of vegan clothes and accessories! allTRUEist – Lots of Black Friday Deals on Vegan Handbags and Shoes! All Alexandra K. – 20% OFF – 100% VEGAN! All Nemanti & Opificio V. Shoes – 20% OFF – 100% VEGAN! All NoAni Belts – 40% OFF – 100% VEGAN! All L. Yucel – 40% OFF – 100% VEGAN! Matt & Nat Vegan Handbags – 25% off select styles – 100% VEGAN! GUNAS Vegan Handbags – 40% off site wide! – 100% VEGAN! Urban Expressions – 50% off sitewide + Free Shipping for US orders, use code: BFCM50 (Valid till 11/27) – 100% VEGAN! Lulus.com – Take an extra 40% off all sale items! Lulus.com has a fab selection of vegan shoes! Veganized World | Vegan T-Shirts and Apparel – 30% off site wide, use code: BLACKBEANFRIDAY – 100% VEGAN! Hurtig Lane Vegan Watches – 15% off all orders + a free additional watch strap with all watch purchases – 100% VEGAN! Corkor Vegan Handbags – everything 20% off – 100% VEGAN! BHAVA Vegan Shoes – $60 off any order over $250, use code: THANKYOU60 or $150 off any order $500 + free US shipping , use code: THANKYOU150 – 100% VEGAN! Show Some Bunnies You Care By Wearing one of these Cruelty Free Shirts! I love the list!!! Thank you! I notice you do not have my favorite healthy skin care products listed. Organic Excellence is having a 30% off everything for CyberMonday sale! I love all their products and they just launch a pet shampoo too. New customers receive a free sample bag of product too. Go check them out, organicexcellence.com I’m sure they would give you free product to try to add to your blog.